I saw this recipe on Pinterest and thought it sounded good. We tried it one night, not quite sure what to expect. All I have to say is…Wow! It was soooo yummy! Mix it all together in a bowl and chow down! 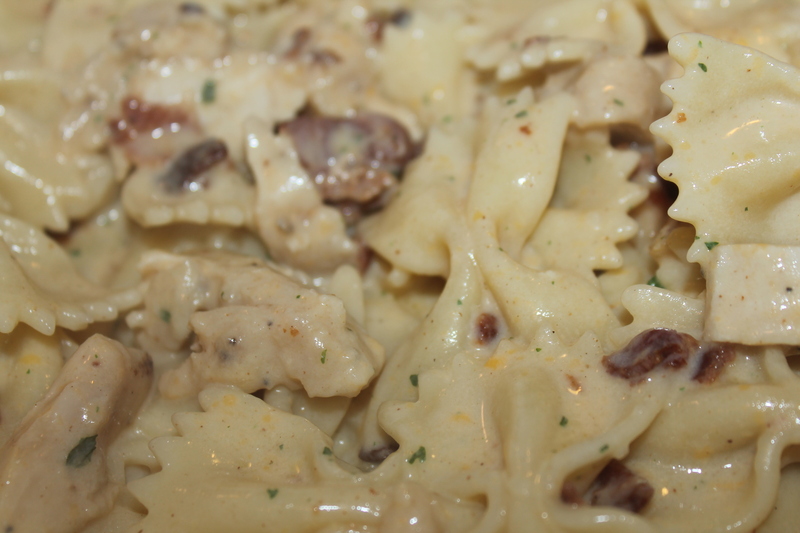 If you like all the ingredients in the name of this dish, you must try it! It is simply amazing! 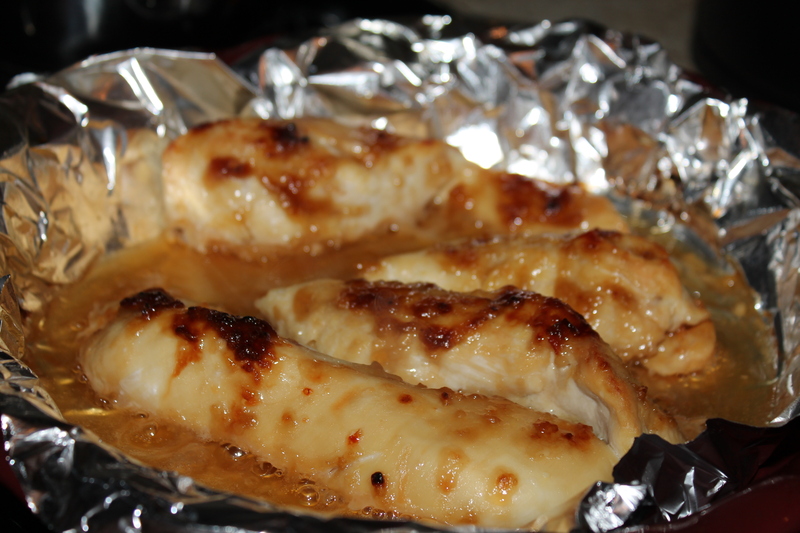 Easy Garlic Chicken – Only 4 Ingredients! I found this recipe on Pinterest, tried it, and thought I would share. 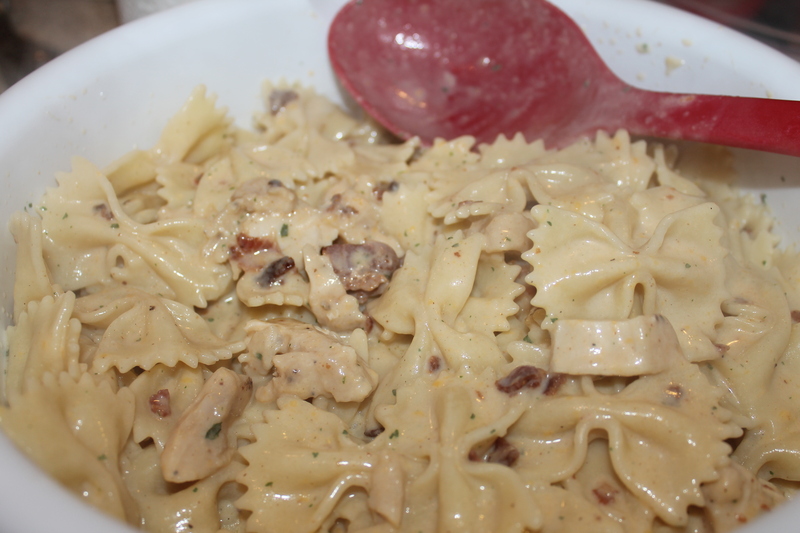 It’s quick, simple, and yummy! 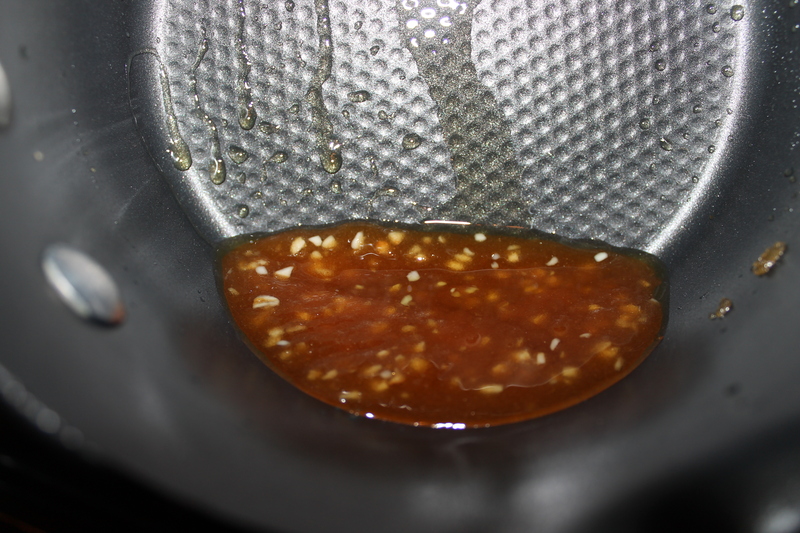 This is what the sauce looks like before you put it on the chicken. Kind of goopy and sticky. 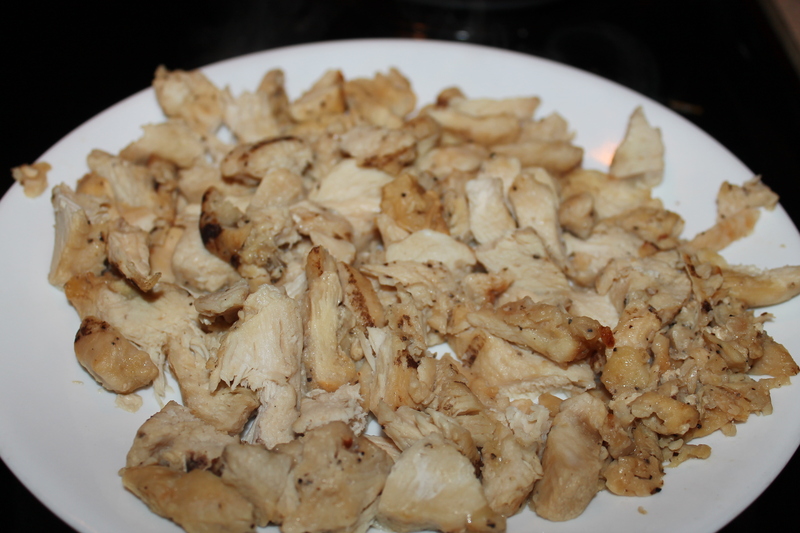 And here it is after spread on the chicken. Give it a try on a night that you don’t have much time to fix something. Enjoy! I’m sure we will be fixing it again soon. Nailed it! This week is review for our VPK kids, so I wanted a fun way for them to practice making thier letters. I decided to give them all 2 pipecleaners (3 if they said they needed another) and get them to make letters of the alphabet. They could make any letter they wanted, upper or lowercase. They were so proud after each letter they made and go to show me. They were even more proud because I told them I wanted to take a picture after they did it! Just telling them that I would take a picture of their work motivated them to try hard and to let me know when they got one done. 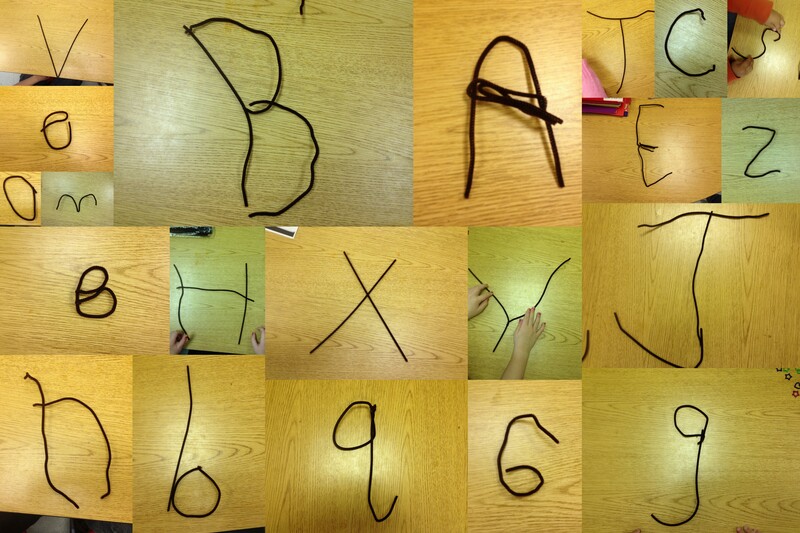 I loved seeing the different ways they chose to make letters and how their creativity played out it in. It’s just a quick, easy, and fun way for them to practice. It could be used as a center or a time killer. Not only does it help them with forming their letters, but it also helps them with thier fine motor skills. And another perk…you can straighten them out and use them again! I’m sure they will be even more excited next time when I bring out more colors for them to use also! 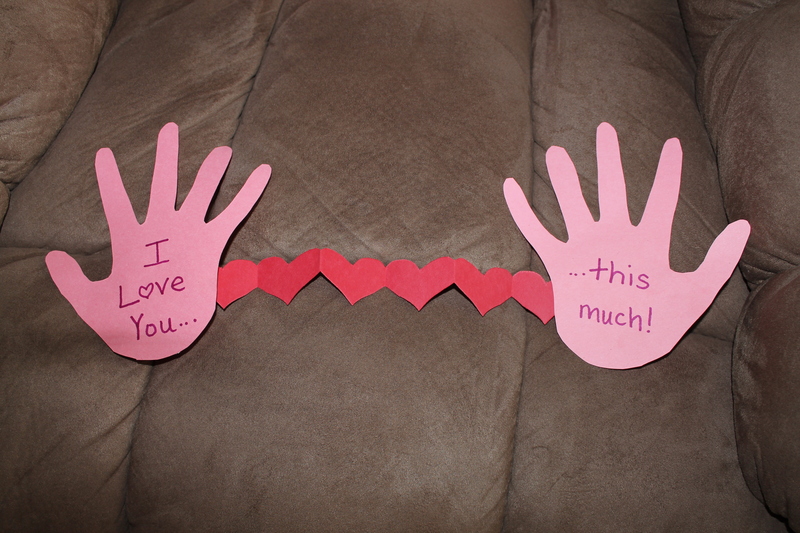 This is another cute Valentine’s Day craft that I saw on Pinterest and did with my VPK class. It was very simple and turned out really cute I thought! 1. Paint both of the child’s hands. 2. Have them place their hands on the paper so that their hands form a heart like the one in the picture. As they are doing it, the heart will look like it is upsidedown. 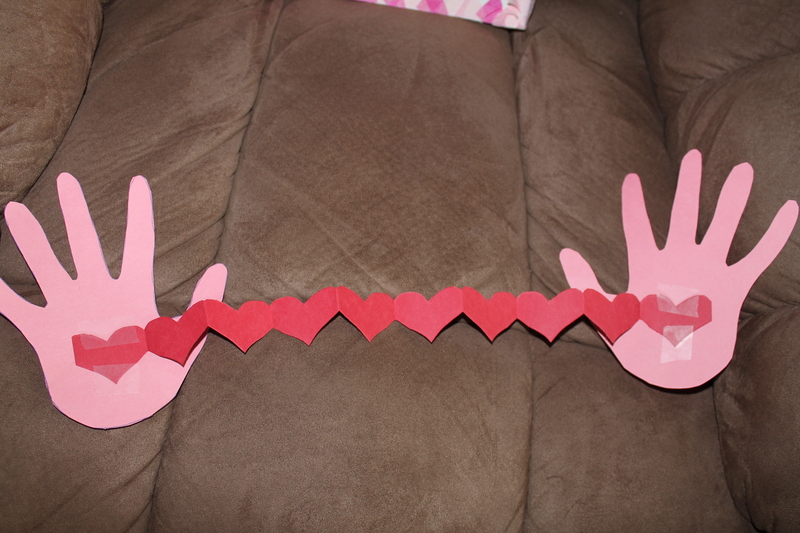 For my 4 year olds, I had to physically take their hands and put them down so that they made a heart. 3. Once it is dry, write a cute saying in the middle of the heart: Be Mine, Be My Valentine, LOVE, I Love You, etc. 4. Put glue around the outer edges of the paper and let them put little pieces of tissue paper all around their card. If you wish, cut off the extra pieces that are hanging off the edge. I cut the extra off mine, but I found that my kids used less paper than I did and it actually looked cuter when it was not trimmed. 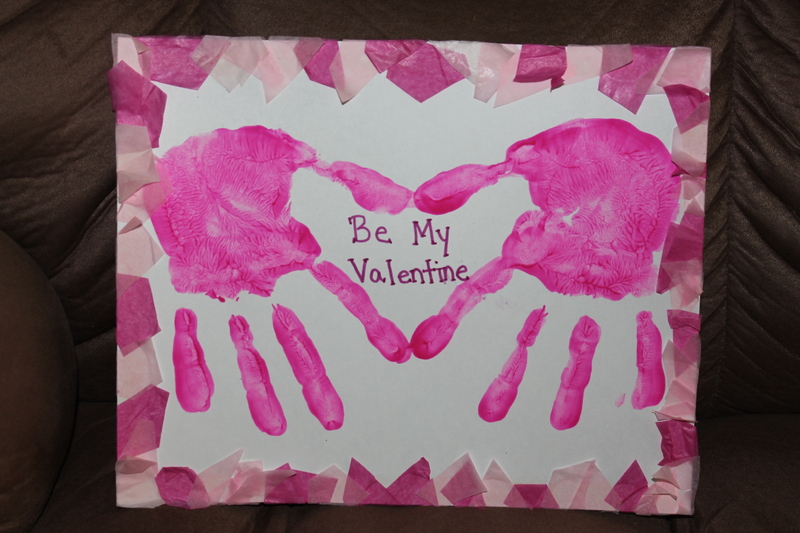 This is a craft that I saw on Pinterest and did with my VPK class this Valentine’s Day. It would also work with Kindergarten, first, or second grade. The first and second graders would actually be able to do it completely themselves most likely. 1. Trace one of the child’s hands, or get them to trace each other’s hands if they are able. 2. Fold the paper in half and cut out the hand so that you have 2 hands. 3. Take the red construction paper and fold it like an acordian at least 10 times. 4. Draw a small heart on the paper after it is folded. Make sure the the sides of the heart actually go off the paper some. 5. Cut the heart out, BUT MAKE SURE that you leave a space on the left and right side of the heart! If you cut it too close together, then all the hearts will fall apart. If you make the mistake, you will see what you did wrong and most likely be able to correct it on your next attempt. I was able to get about 8-10 strands of hearts out of one piece of paper. Also, since you will be cutting through many layers, the kids will most likely not be able to use kid’s scissors. 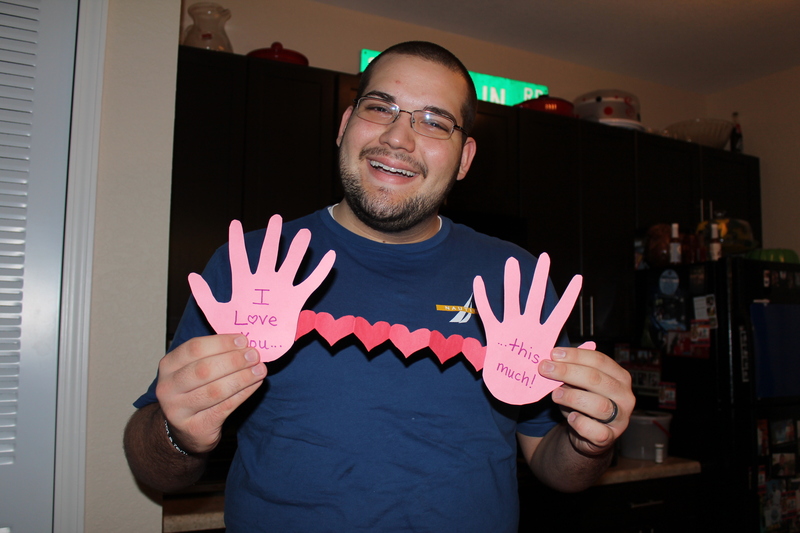 For my VPK kids, I cut out the hearts and hands for them. 6. 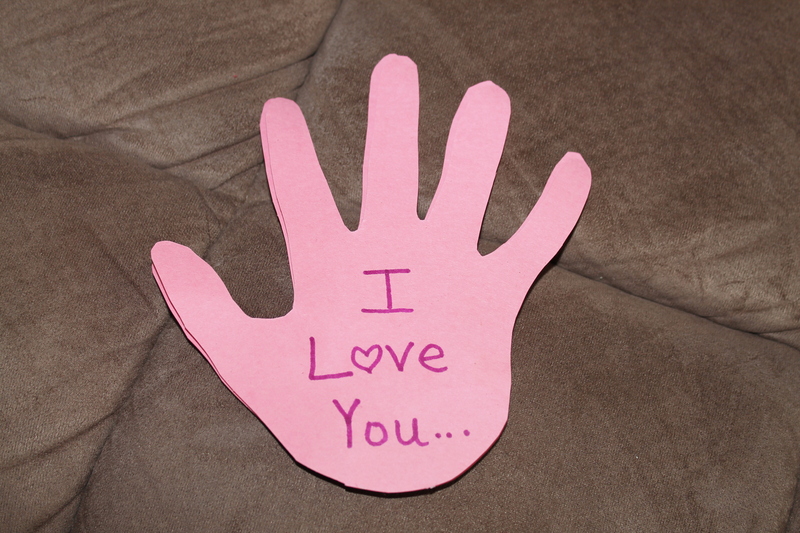 Get the kids to write “I Love You…” on one hand. Then get them to write “…this much!! !” on the opposite side of the other hand. 7. Tape or glue one side of the hearts to the back of one hand and the other side of the hearts to the back of the other hand. It is such a fun and cute craft for the kids to do for their parents or grandparents. And they love pulling it apart and putting it together again! 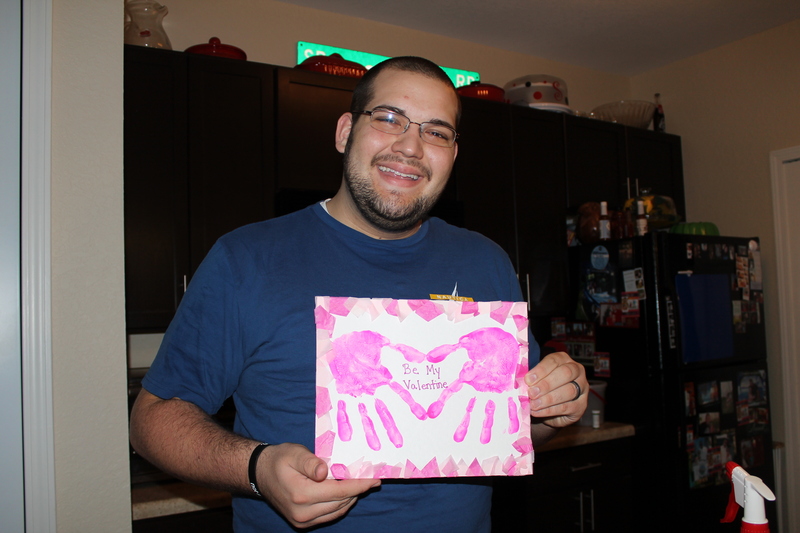 Since my last Valentine’s treat for my husband wasn’t his favorite, I decided to make something that I was 100% sure he would like. 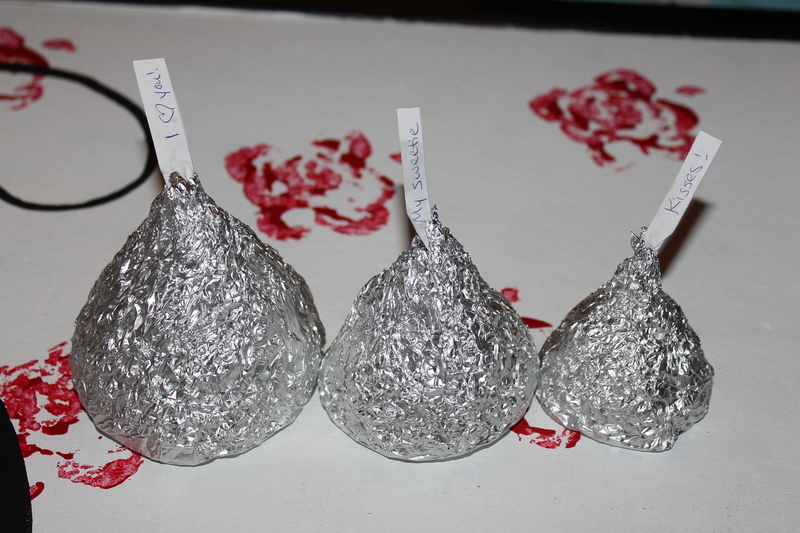 So I made him extra large rice krispy kisses! They were super easy to make and pretty fun too! 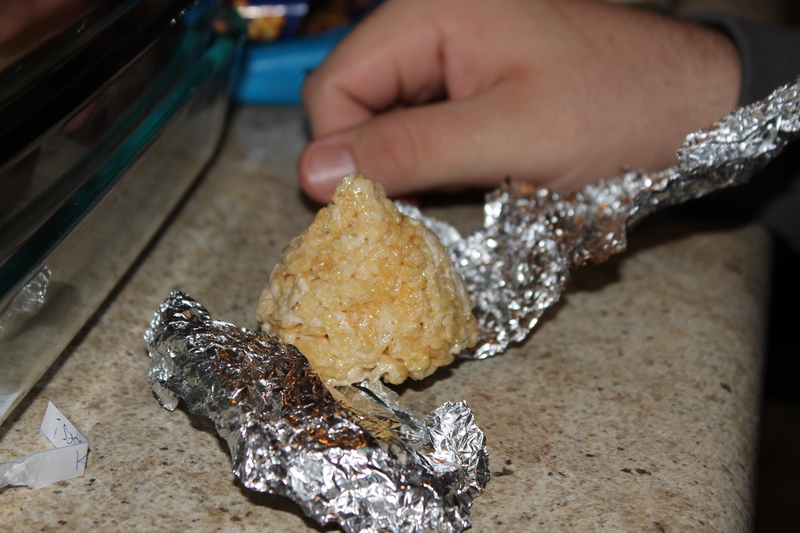 To make them, you just start off by making rice krispy treats like you normally would. If you don’t know how, then here are the quick directions. Put the marshmallows and butter in a bowl and heat it in the microwave for 2 mintues. 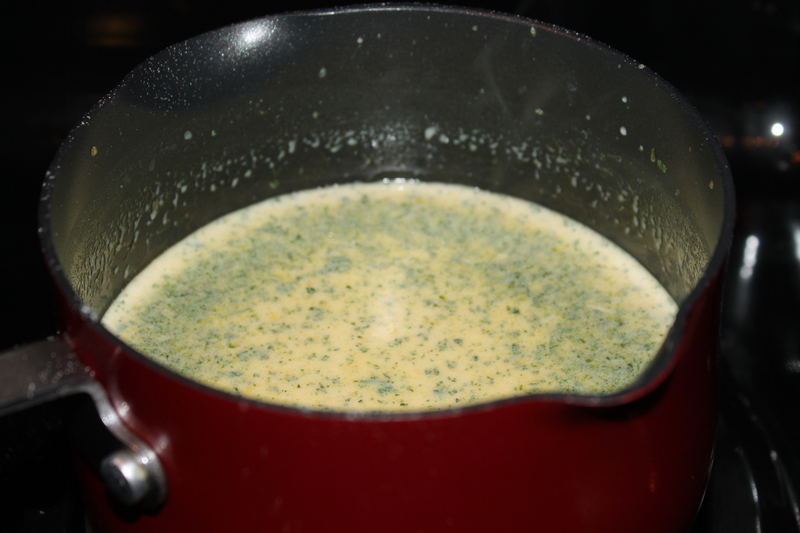 Stir it and then heat it for 1 more minute. Make sure that you spray your spoon with Pam before you stir, or else they will stick to the spoon really bad. Then mix in the rice krispies and stir it all together. Next comes the fun part! 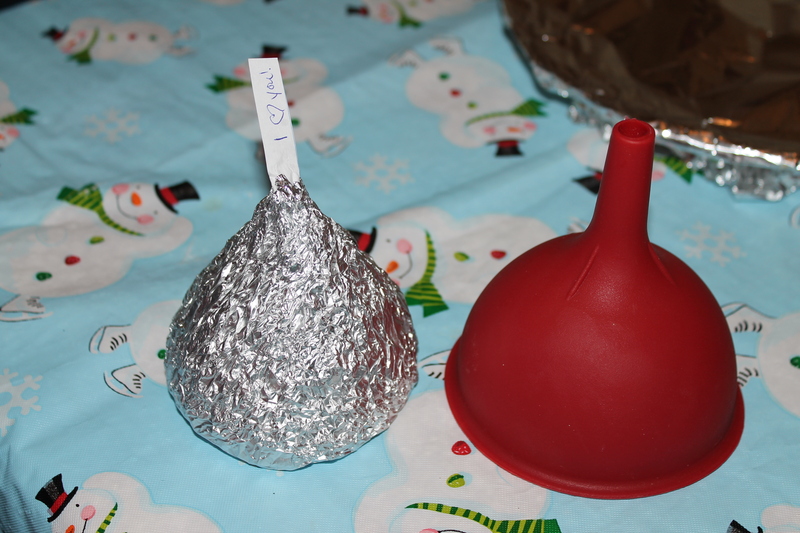 In order to make them look like kisses, you are going to put the mix into funnels. Once again, make sure that the funnels are sprayed with Pam very well, or else will be a pain to get them out! In order to get it down in there good, I just sprayed my hands with Pam and then pushed the rice krispy mix down into the funnel. 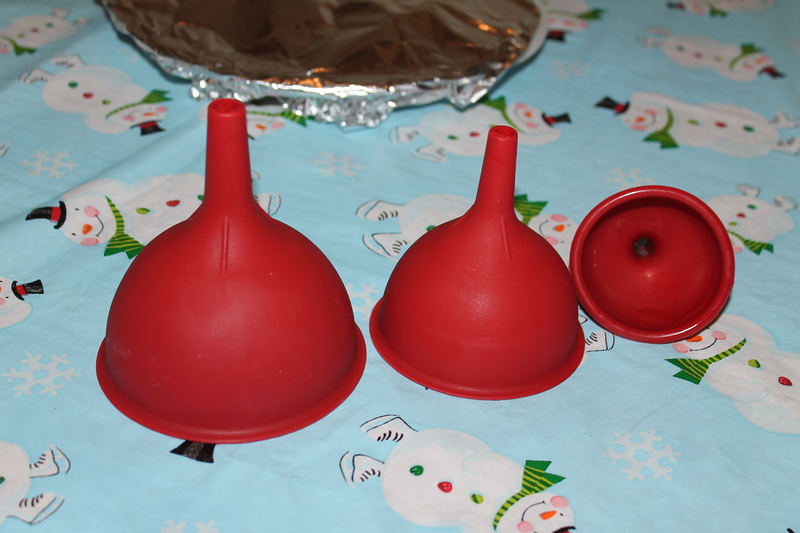 I had 3 different sizes of funnels that I used. 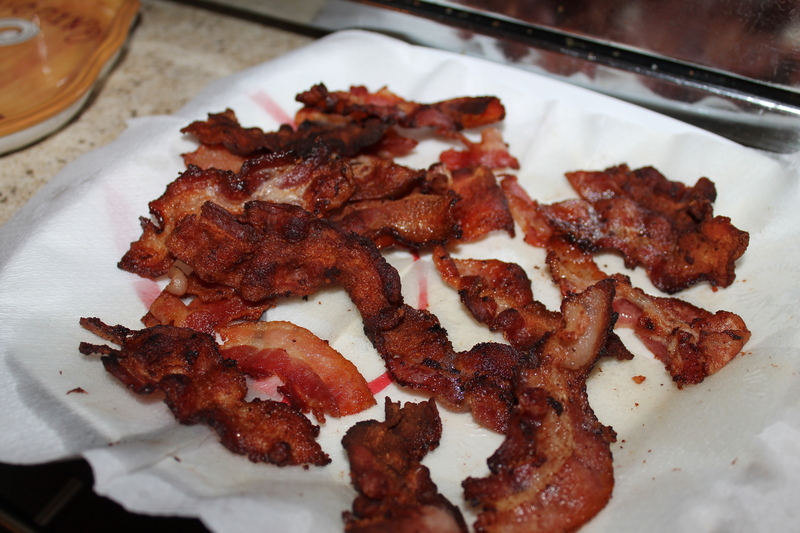 Then I just put the extra in a pan to eat. 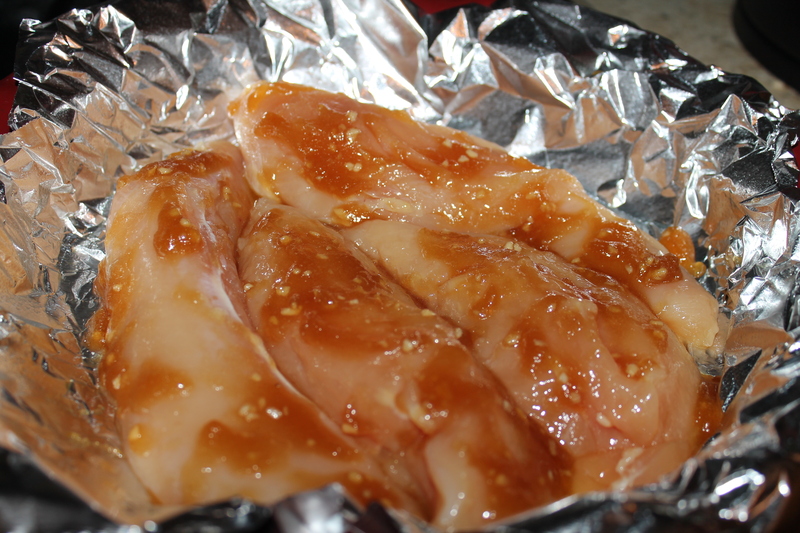 Once they are done cooling, then you can take them out of the funnel and wrap them in foil. 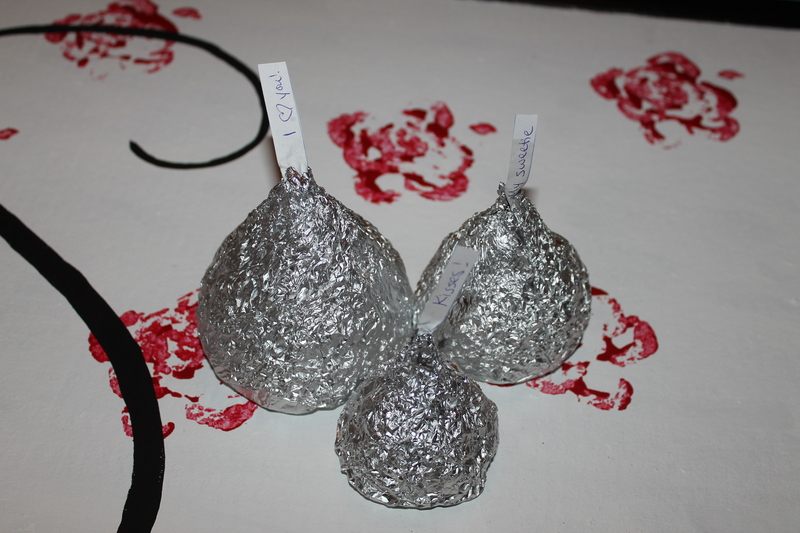 I also molded mine a little to make them look a little more like kisses. Then you can write or type out a short line to your honey and put it on a strip of paper to stick out the top of the kiss. 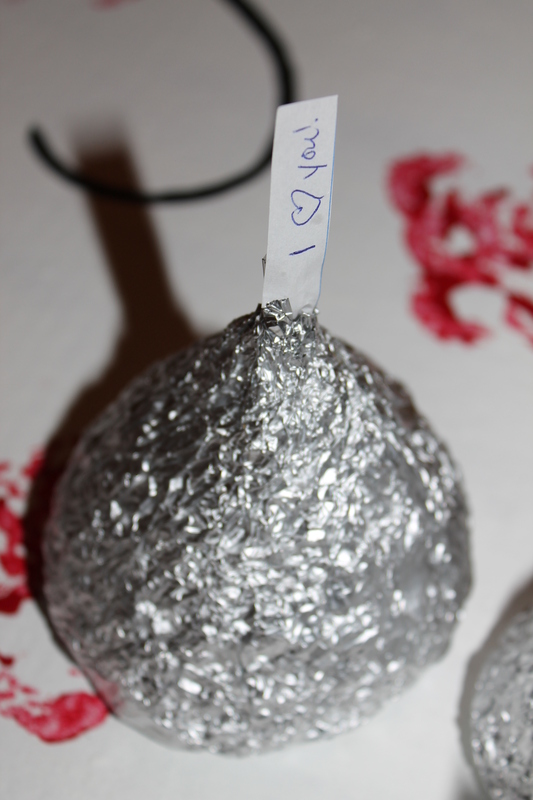 To wrap mine, I set the kiss flat on the foil and then just started folding it upwards. Once I got towards the top, I started twisting it and tore off extra pieces of foil where I needed to. Then when that special someone opens it, they will find a sweet treat inside! My husband loved his special kisses! Nailed it!!! These are some cookies that I made for my hubby for Valentine’s Day. 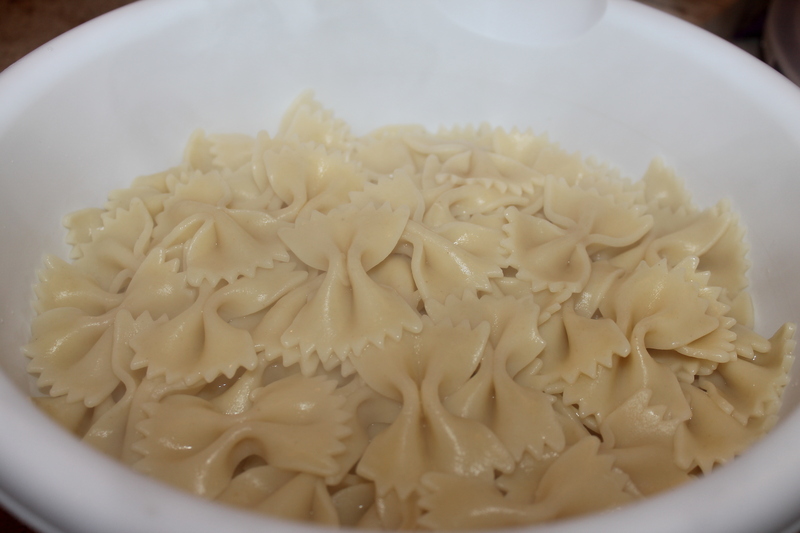 They were really easy to make and very tasty! They were a big hit with my church friends and co-workers…not so much with my husband. I didn’t realize how much cream cheese they had in them until I had already started, and he doesn’t like cream cheese. But even so, he still ate one and said that it would’ve been great with regular cake icing inbetween. 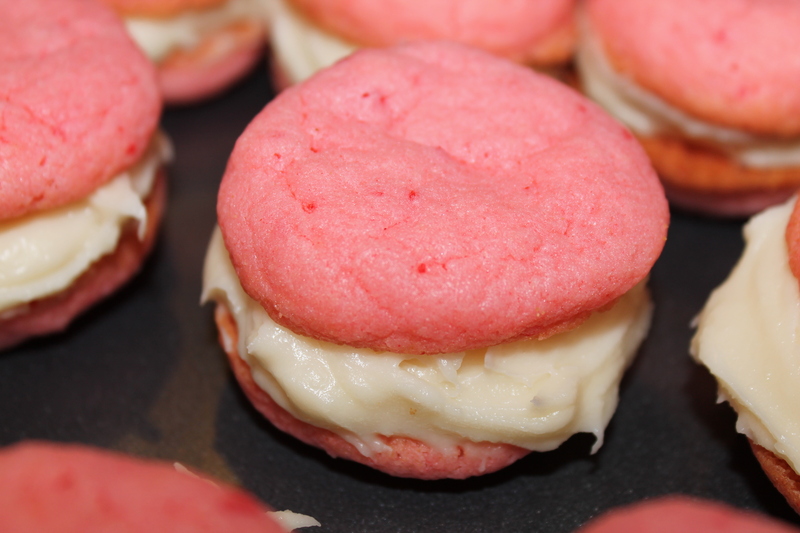 Those who like cream cheese, you will love these cookies! Here is the recipe and the link to where I got the idea. 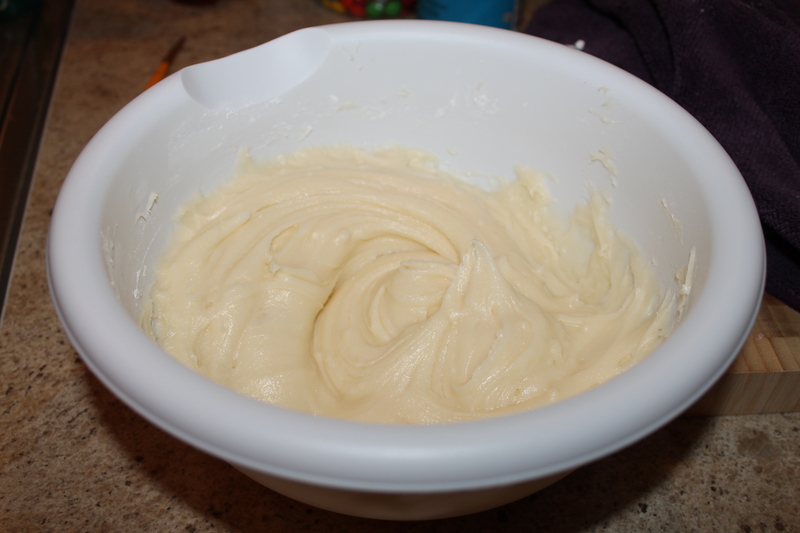 Mix together strawberry cake mix, eggs and shortening until well combined. The dough will be pretty thick. Roll dough into balls, making sure they are all similar in size. Place dough onto ungreased cookie sheet and bake for 8 minutes. Immediately transfer cookies to a cooking rack. I also think these would be wonderful using a red velvet cake mix instead of strawberry. 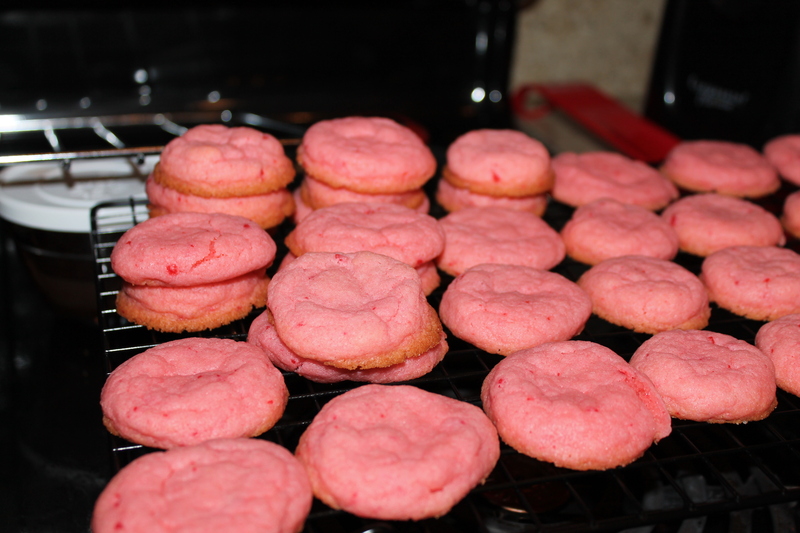 You could do both and have red and pink cookies for Valentine’s Day! Here are some pictures of the baking process. And here is the finished product! Nailed it!! !